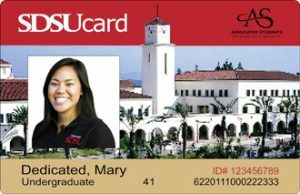 Students at San Diego State University can now use their SDSUCards to grab a quick snack from campus vending machines after the university added vending functionality to the student credentials. As reported by the Daily Aztec, vending machine purchases via the student ID card had been supported in the past, but were discontinued until now. The university has now decided to bring vending purchases back to give the SDSUCards more functionality around campus. SDSUCards support a wide range of utilities for students, including in paying for printing services, and making an array of purchases at dining facilities, the SDSU Bookstore and Aztec Markets. For students living on campus, the cards can also be used for laundry and access to residence halls, and of course for visual validation to access campus events. SDSU students also have the option to use their SDSUCards to host a checking account through U.S. Bank, which enables users to condense their student ID and checking card into a single credential. Loading funds onto SDSUCards is also easy. A CBORD client, SDSU enables students to easily use cash or card to their balance from almost anywhere on campus via cash-to-card machines or POS registers. “They can put money in at the any of the on-campus markets, the bookstore or through the online GET website,” added Mees. In addition to adding funds to student accounts, SDSUCard machines also allow users to purchase Guest Copy Cards. SDSUCard machines only take bills; no credit cards or coins. The SDSU Bookstore and the campus markets can add funds from credit cards to SDSUCards. Funds deposited on the SDSUCards can be used for printing, copying, and laundry, purchases in AztecShop Markets and the campus bookstore, but not for meal plans.